Buying a house vs. renting depends on where you are in life. 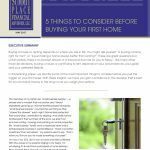 You might ask yourself, “Is buying a home right for me?” or “Is purchasing a home always better than renting?” Unfortunately, there is no tried-and-true rule for you to follow – like many other financial decisions, buying a house or continuing to rent depends on your circumstances, your goals and your preferred lifestyle. It’s tax season and the April 18th filing deadline is near. 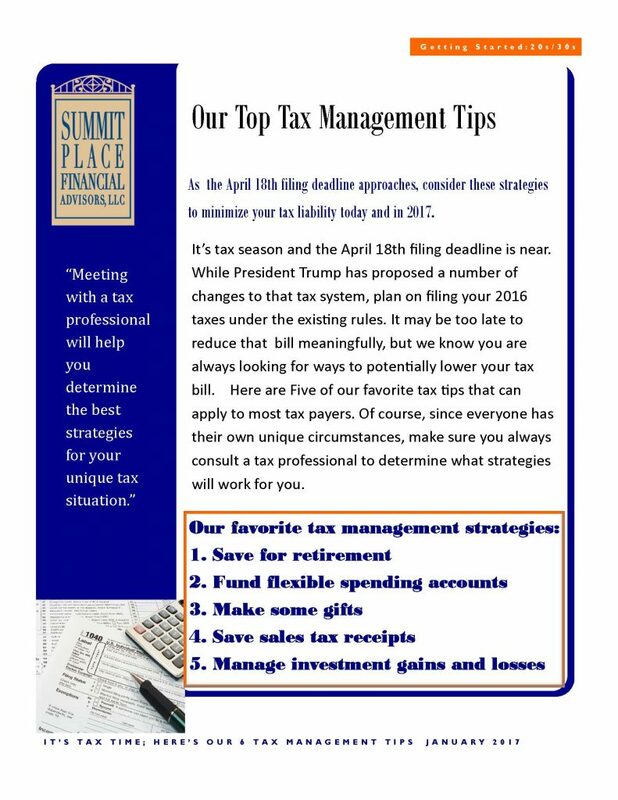 While President Trump has proposed a number of changes to that tax system, plan on filing your 2016 taxes under the existing rules. Have you funded your IRA this year? Are you eligible? How often have you heard these questions? 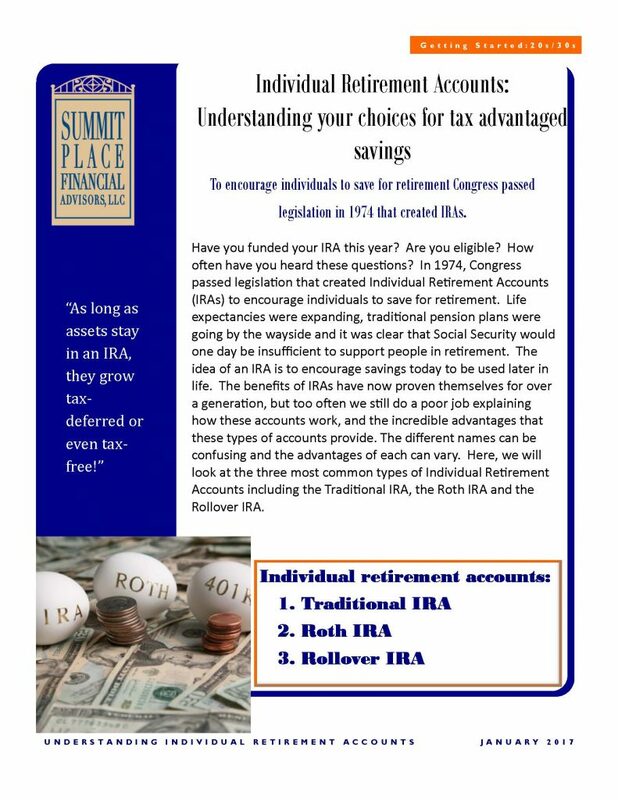 In 1974, Congress passed legislation that created Individual Retirement Accounts (IRAs) to encourage individuals to save for retirement. Money represents different values to different people, but for everyone it provides security for their family. 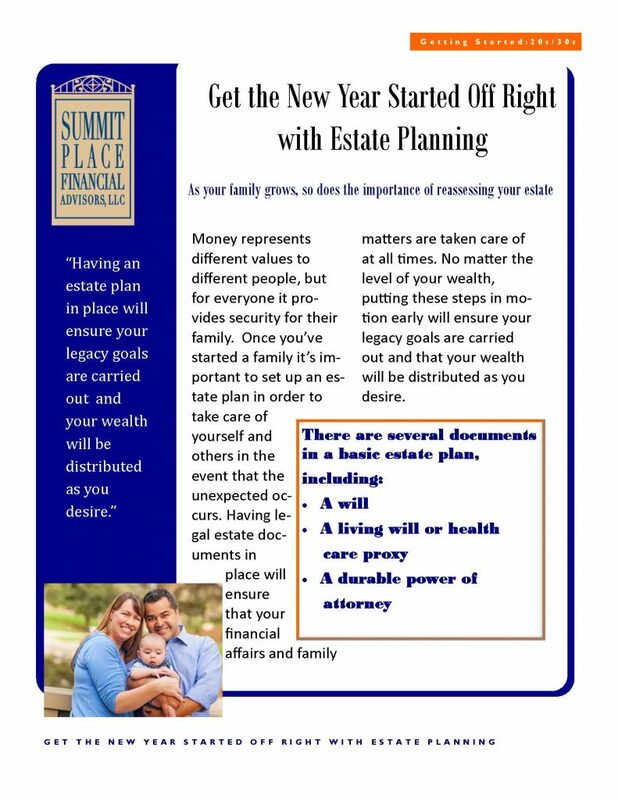 Once you’ve started a family it’s important to set up an estate plan in order to take care of yourself and others in the event that the unexpected occurs. Everyone feels invincible, as if nothing bad is ever going to happen, and therefore believes they won’t need insurance. 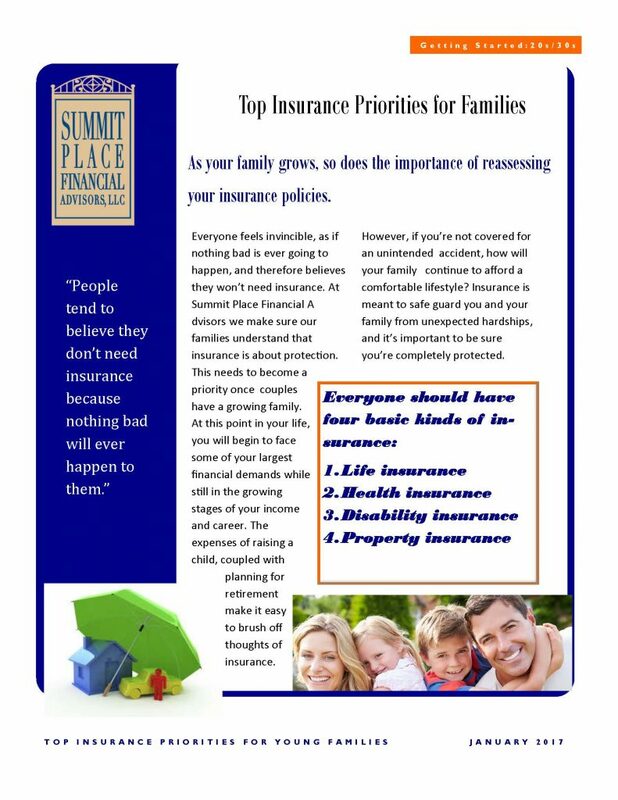 At Summit Place Financial Advisors we make sure our families understand that insurance is about protection.